Late in 1965 in a little place called The Matrix in San Francisco, Jefferson Airplane played to audiences of 150 friends. 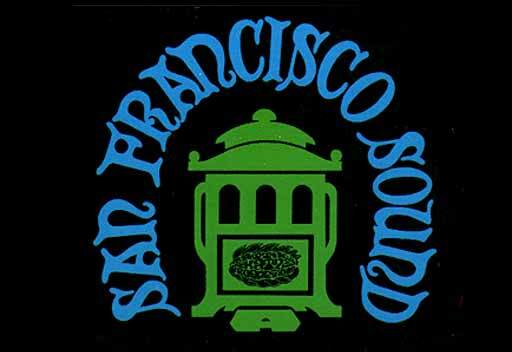 Later in 1966 the Greatful Dead, Quicksilver Messenger Service, Country Joe & The Fish, Big Brother and the Holding Company, already on their way, heard Moby Grape at the Ark in Sausalito. Since then, Matthew Katz, producer of Jefferson Airplane and Moby Grape, has produced many new artists and here they are; dig It...Indian Puddin N' Pipe, Black Swan, It's A Beautiful Day, and Tripsichord Music Box. Then-"Runnin Round This World" 1965 by Spence, Balin, Kantner, After You. Marty Balin, Signe Anderson-vocal, Jorma Kaukonen-lead guitar, Jack Casady-bass, Paul Kantner-rythym guitar, vocal, Skip Spence-drums. Recorded at the Matrix early 1965 in San Francisco. The airplane were the darlings of the hippie community in San Francisco, the USA, and the world. Dropped from Jefferson Airplane-Takes Off because of the word "TRIPS". Never Before Released. "Embryonic Journey" 1965 by Jorma Kaukonen, Ice Bag Music. Recorded at the Matrix 1965. Later on Jefferson Airplane-Takes Off 1965. Now-"Always Tomorrow" 1990 by Kerry Kearney. Balin, Deal Music. Kerry Songs. Marty Balin-vocal, acoustic guitar, Kerry Kearney-guitar, vocal, Karen Deal-keyboard, vocal, bass, Ed Michaels-drums. Then-"Hey Grandma" 1966 by Skip Spence, After you. First release "Bird On A Washboard". Bob Mosely-bass, vocal, Jerry Miller-guitar, Skip Spence-guitar, Peter Lewis-guitar, Don S tevenson-drums. At the Ark, a ferry boat in Sausality, Moby Grape America's 1st hard rock band got the people dancing. Now-"Silver Wheels" 1983 by Peter Lewis, After You. Heart, CD 1983. Bob Mosley-bass, Don Stevenson-drums, Peter Lewis-guitar, vocal, Richard Dean-keyboard, Grisha Diamant-guitar. "Lonesome Highway" 1988, by Bob Mosley, After you. Bob Mosley-bass, vocal, Randy Gordon-drums, Grisha Diamant-lead guitar. Then-"Aquarian Dream" 1968 by Mark Uzilevsky, After You. Mark Uzilevsky-vocal, rythym guitar, Pat Craig-keyboard, vocal, June Richards-vocal, Steve Mack-guitar, vocal, Kris Larson-guitar, Jeff LeBrache-drums, Dave Burke-bass. As the audiences became more aware of each other, It's A Beautiful Day gave them music that went together with holding hands. "Wasted Union Blues" 1968 by Linda LaFlamme Davlin Pub. Linda La Flamme-keyboard, vocal, David LaFlamme-violin, vocal, Pattie Santos-vocal, Mitchell Holman-bass, Hal Wagnet-guitar, Val Fuentes-drums. Then-"Shadowlarks" After You. Pat Craig-keyboard, vocal, Steve Mack-guitar, vocal, Paul Trousdale-flute, tenor sax, vocal, Steve Johnson-bass, vocal, Kris Larson-guitar, vocal, Rex Larsen-guitar, vocal, Dennis Lannigan-sax, vocal, Rick Quintanal-percussion, vocal, David Savage-trumpet, Lydia Moreno-vocal. Indian Puddin & Pipe, the best kept secret of underground music from Old San Francisco. Composed of musicians, who's intent was to create the classical music of t he 60's. There are several albums of Pipe music, never before released. Then-"Bikini Baby" 1968 by Elliot Ingber & Stash Wagner, Terrible Tunes. Elliot Ingber-guitar, Stash Wagner-lead vocal, Red Rhodes-steel guitar, Earl Ball-keyboard, Ira Ingber-bass, cho rus, Harry Ravain-drums, Grisha Diamant-guitar. AH-HUH-HUH-HUH-HUH! Then-"Luna Cariba" 1980 by Tim Hardin, After You. Tim Hardin-vocal, piano, Nicky Hopkins-piano, Ken Lauber-piano, Jim Cuomo-organ, Johnny Lee-guitar, Reginald Butler-bass, Denny Seiwell-drums, Peter Grant-pedal steel, Lisa Bialac-vical. Tim Hardin, one of America's finest songwriter poets. He left the planet too soon. We miss him. "Secrets" by Tim Hardin, After You. Tim Hardin-vocal, piano, Peter Grant-pedal steel, Reginald Butler-bass. Then-"Family Song" 1967 by David Zandanotti, After You. David Zandanotti-vocal, bass, Randy Gordon-drums, vocal, Frank Straight-guitar, vocal, Ollie McKinney-keyboards. "On The Last Ride" 1968 by David Zandanotti, After You. Musicians same as above plus Bill Carr-guitar, Debbie Auluce-vocal. Then-"Ancient Voices" 1975 by Stephen Freelight, After you. Jimmy (Wind) Dillon-guitars, Michael Adcock-flute, Maui Mary-violin, Michael Pinder-sitar, Stephen Freelight-vocals. A conceptual composition classically arranged in a way only Michael Pinder could, in that Moody Blues style of his. Now-"Summer Of Love" 1990 by Marty Balin, Great Pyramid Pub. Co., Marty Balin-guitar, vocal. The master story teller recalls the summer of '67.